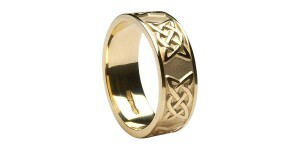 Celtic knots are perhaps the most identifiable symbol of Celtic art and culture. The most remarkable and amazing quality of a Celtic knot design is that they have no end or beginning. There are different types of Celtic knots. 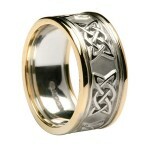 The most popular type is the Celtic style love knot. 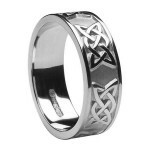 Carrying on the tradition of presenting a loved one with a Celtic Knot as a demonstration of true love, Celtic Love Knots are available in Sterling Silver or 10K or 14K gold. 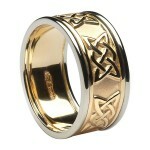 The Gold Celtic Lovers Knot is a beautiful celtic wedding ring that carries on the tradition of ce..